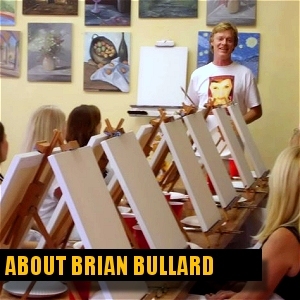 Brian Bullard is known for developing the most unique independent art studios in the "paint and sip" industry. 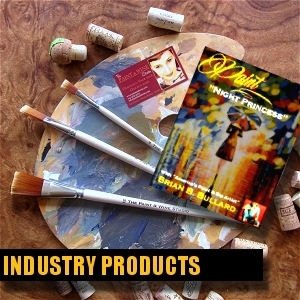 Since 2010 he has owned and operated "The Paint & Wine Studio" in three states and has co-created 38 "paint and wine oriented" studios across the nation. With over three decades of first-hand experience in the "art and business" world, Brian is the reigning authority on all aspects of developing, branding, marketing, and operating successful art studios that generate a profit. He established his first "art and business" oriented studio in year 2000, hosting and instructing clients who attended from all 50 states. He has been interviewed by "Entrepreneur Magazine" several times and has also been featured in various national and local publications and websites. Beyond the realm of his "for profit" adventures, Brian has received awards from NAWBO (National Association of Women's Business Owners), Girls Inc., and HSUS (Humane Society of United States) for his charitable efforts combining art with humanity. Brian recently moved to the "Golden Isles" of coastal Georgia with his wife, Amy. 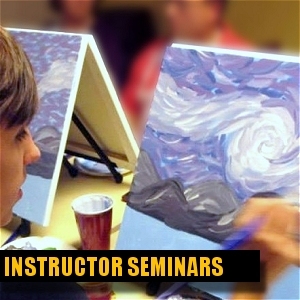 He currently develops businesses across the nation and trains instructors at his studio as well as "on the road". A message from Brian -- "I'm 100% dedicated to making your business the best brand that exceeds in customer service and earns high profit margins. In today's paint and sip market you need to stand out above "the rest", you need the expert that knows the industry inside and out and how to go far beyond what is seen as "the norm". 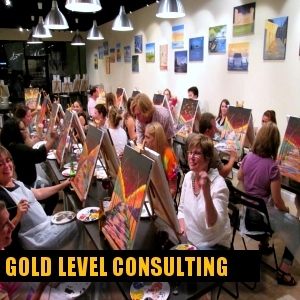 If you're serious about owning a highly successful "paint and wine" oriented business, you've found the expert who can make it happen!